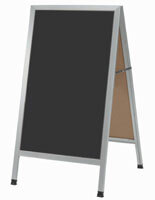 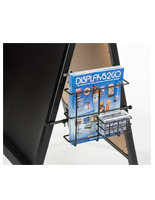 This wet erase marker board does a good job of enticing potential customers into your place of business. 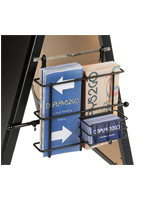 Add your custom messages (with the 6 different markers, included) and capture passersby both coming or going. 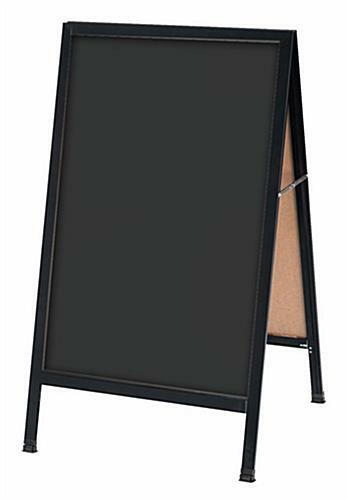 The wet erase marker board is double-sided and features an all-black look, the better to show off the neon-bright colors of the markers. The a-frame sign can be folded flat when not in use. 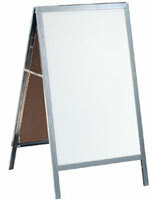 Buy a wet erase marker board to day to help your business bottom line!